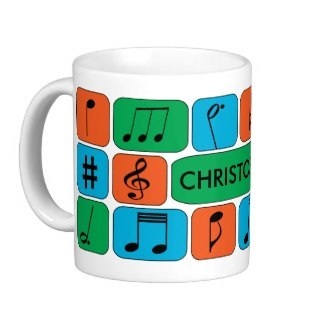 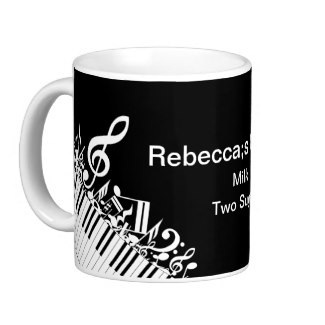 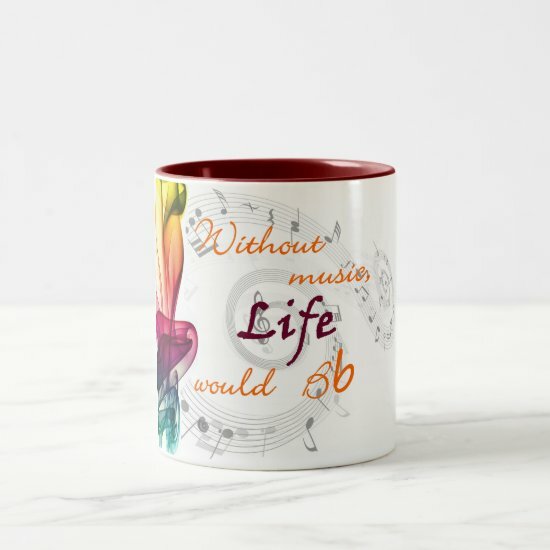 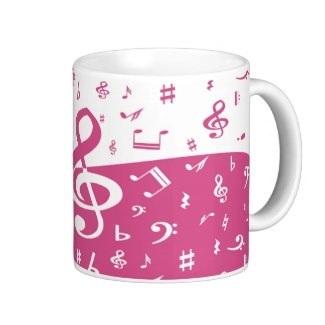 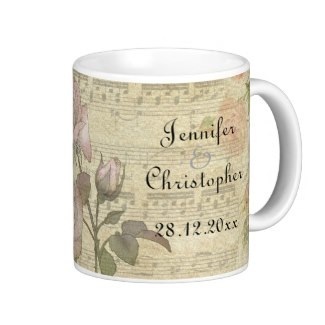 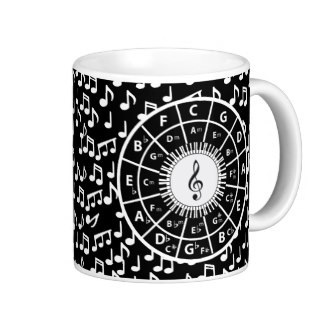 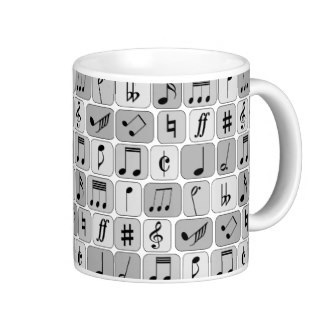 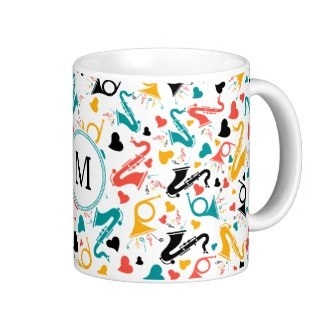 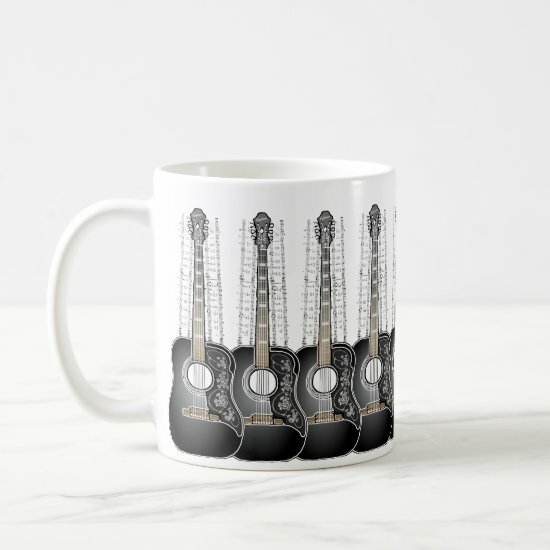 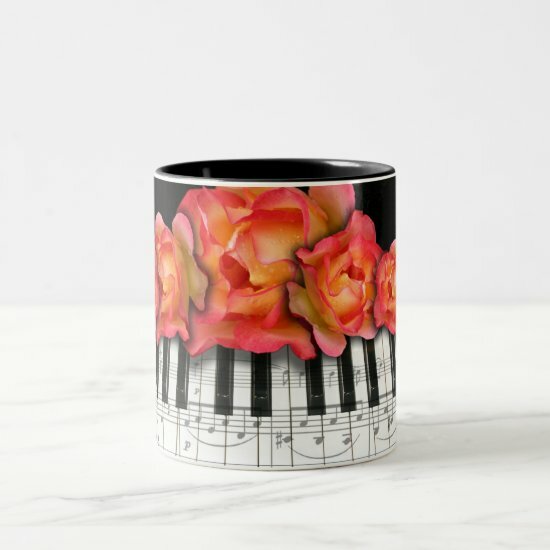 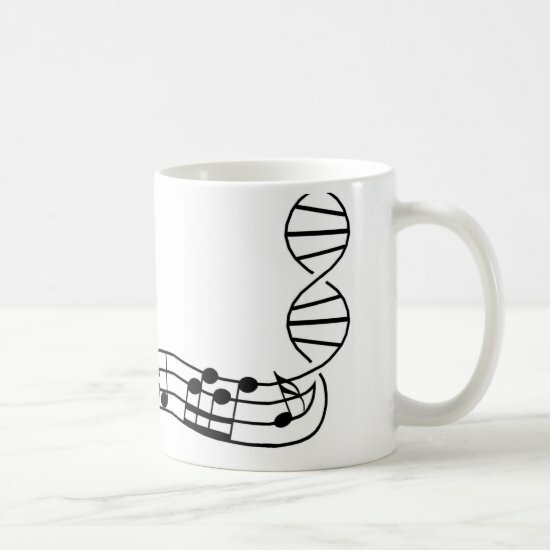 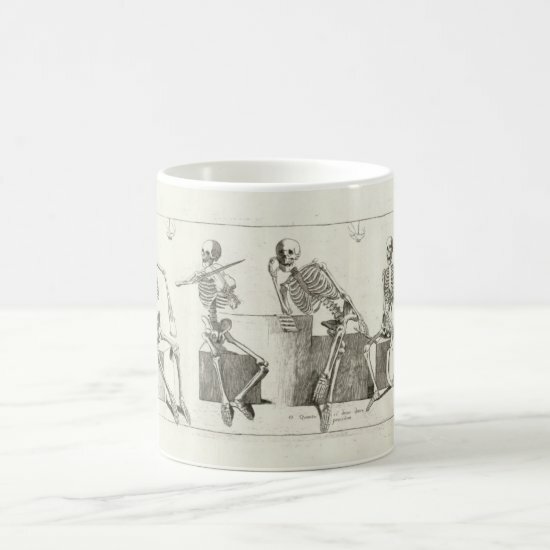 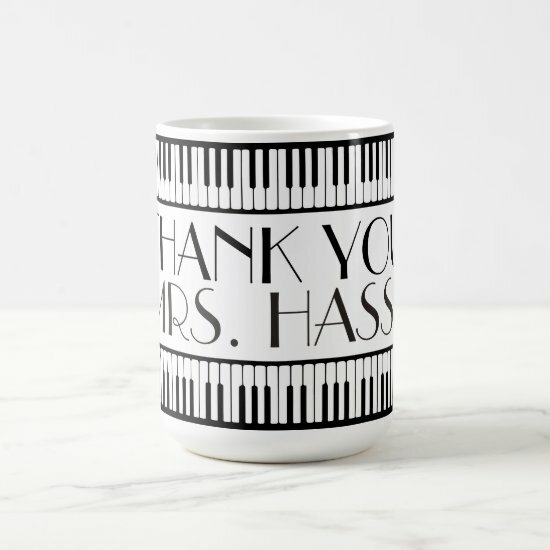 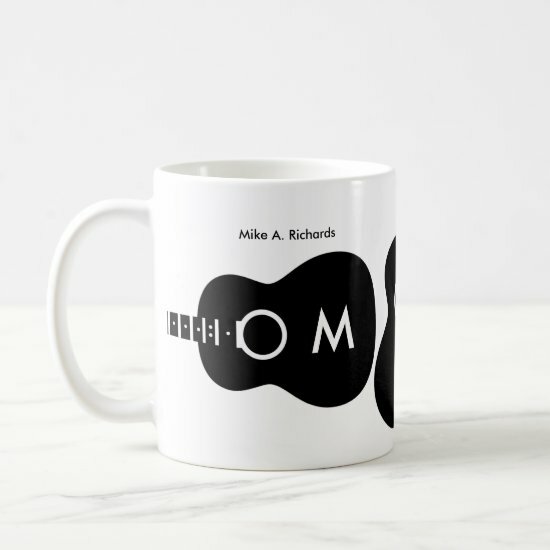 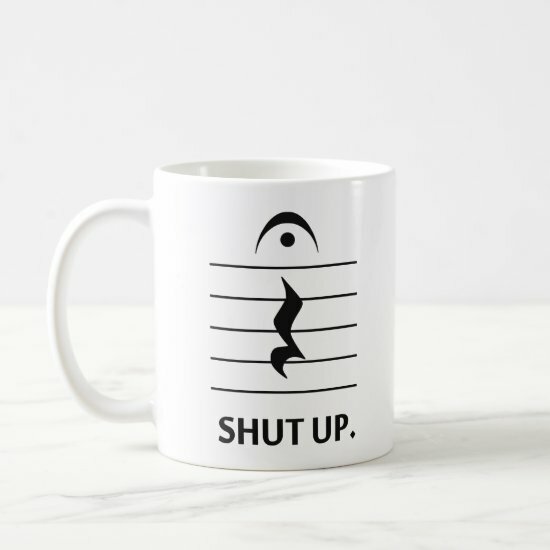 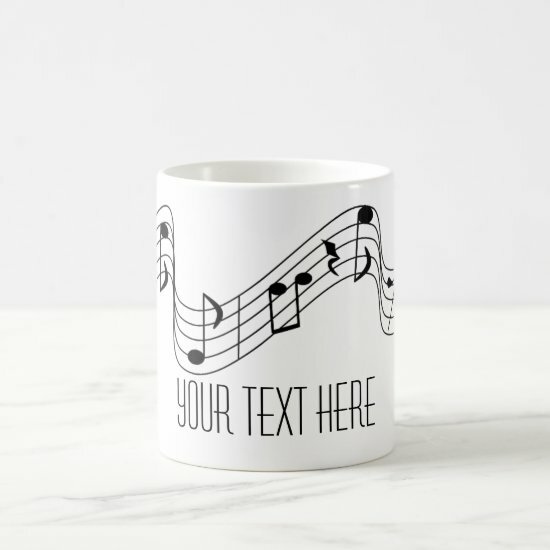 A modern looking coffee mug for the music lover featuring a variety of music notes on various gray shade squares. 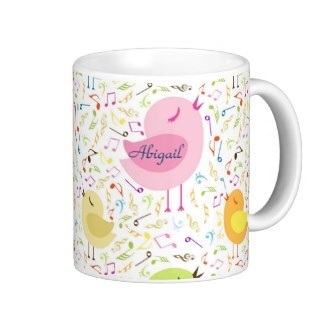 Cheerful personalized mug for her that features cute singing birds with musical notes in the background. 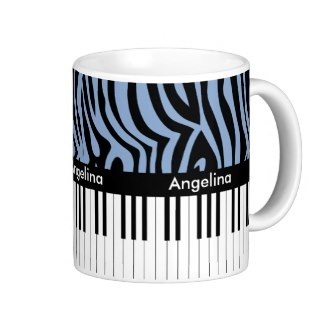 Stylish light blue and black zebra stripes pattern with Piano keys coffee mug which can be personalized for the music lover. 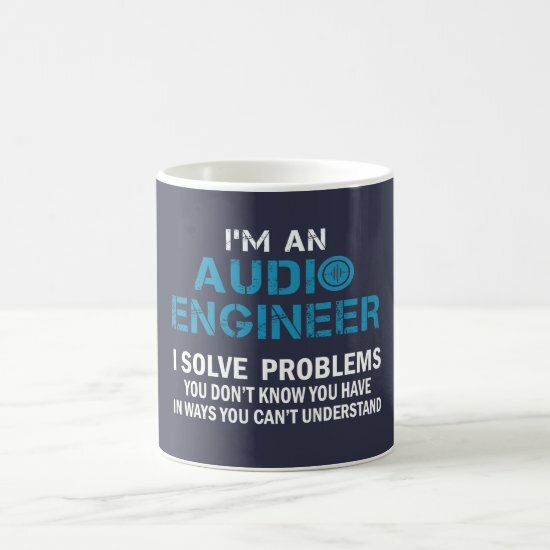 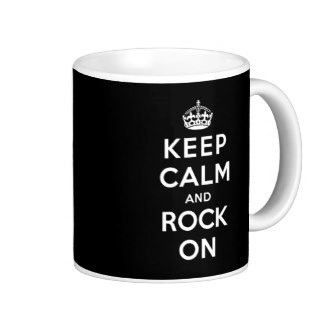 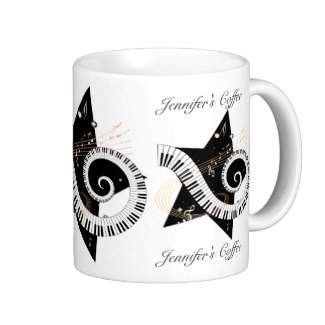 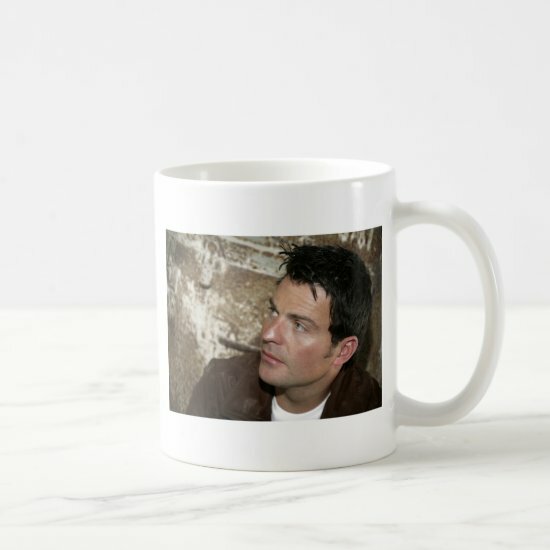 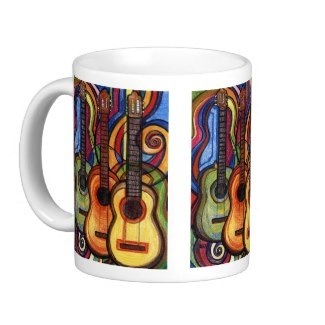 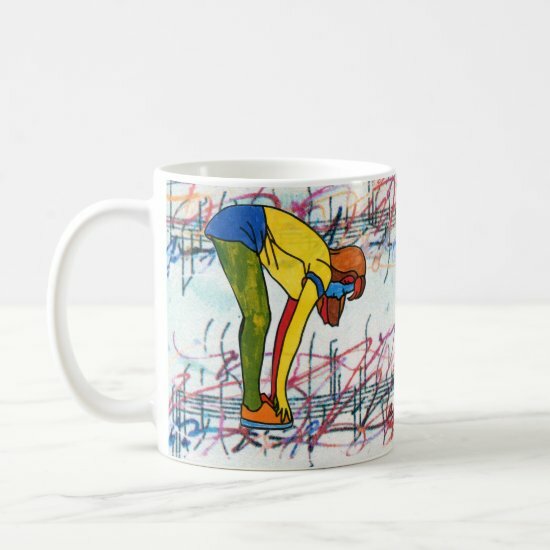 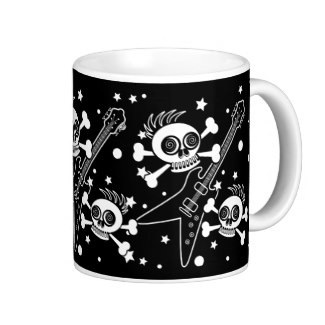 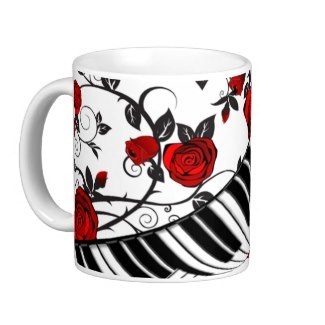 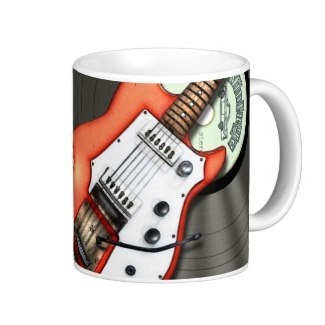 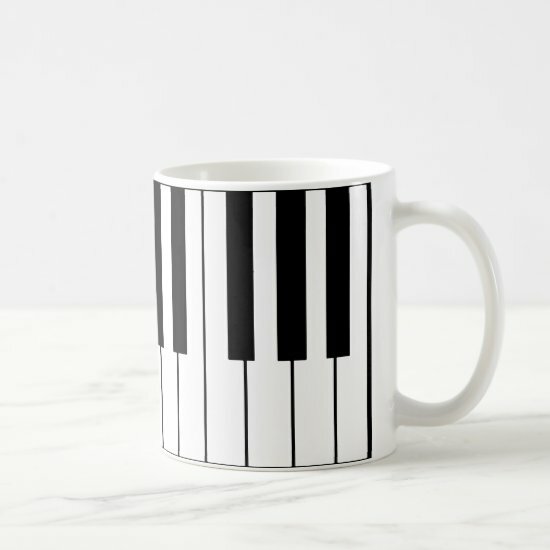 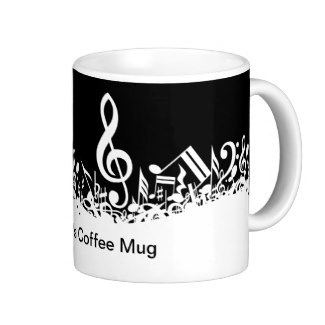 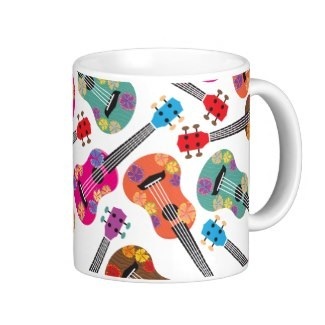 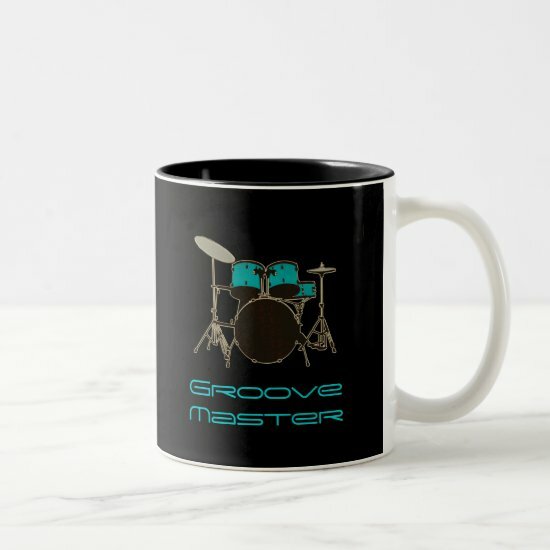 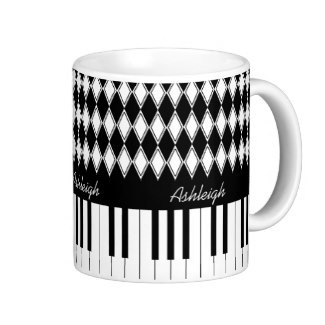 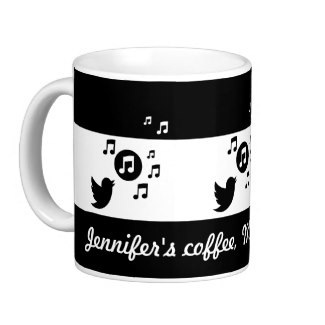 Music themed coffee mugs in a range of styles, including classic, ringer, frosted glass and two tone mugs. 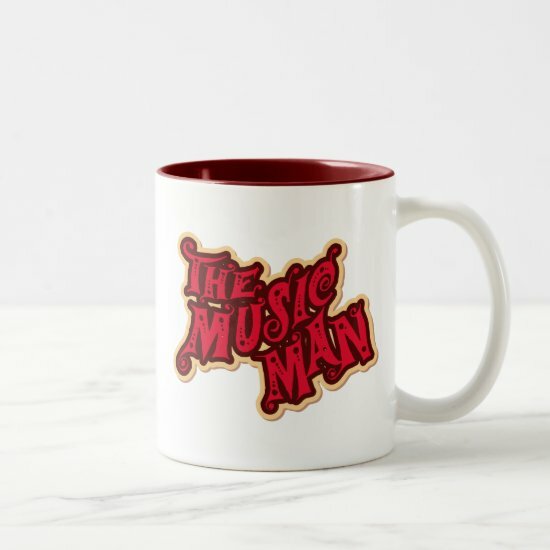 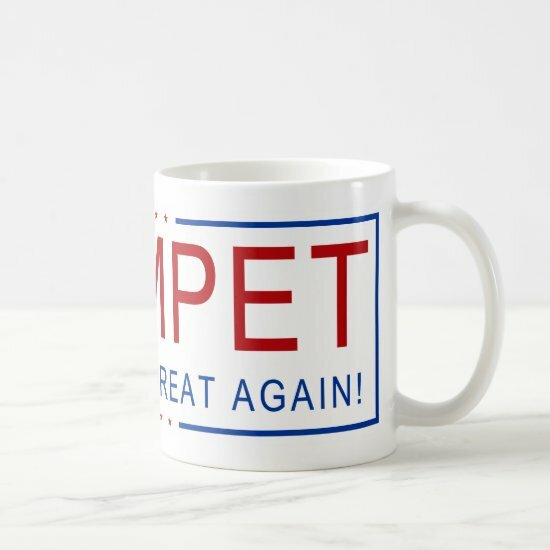 The ringer and two-tone mugs are available in a range of colors. 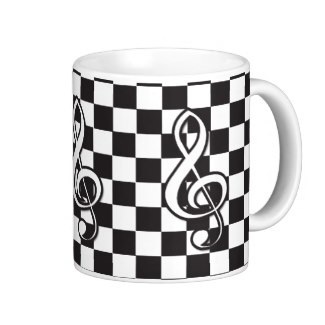 Two sizes are available - the standard 11 oz as well as the larger 15 oz.